Is your childs room often messy? Or are they just naughty little devils? Then you need to decorate their bedroom door with this funny door sticker. 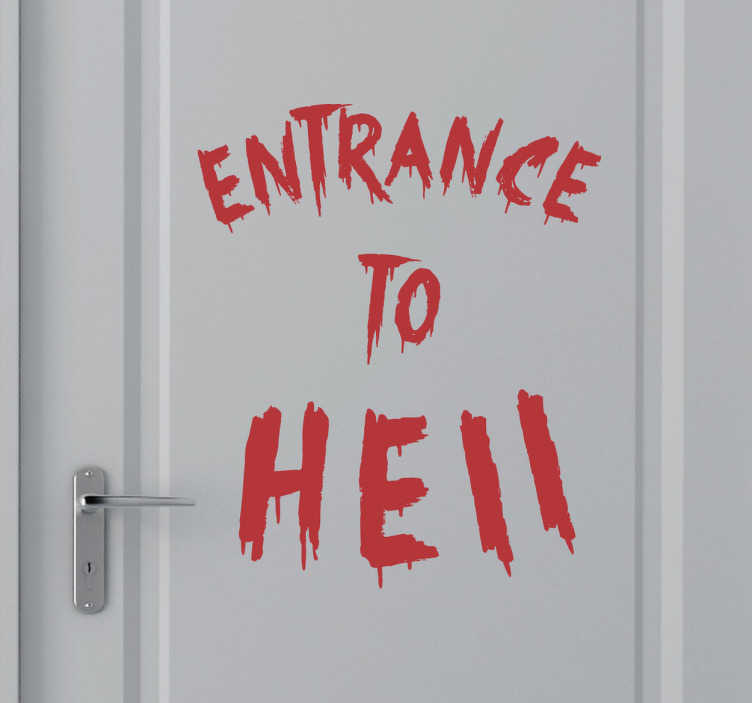 The sticker consists of the text "Entrance To Hell" written in a bloody style. The sticker is easy to apply and leaves no residue when removed. This sticker is available in many different sizes.